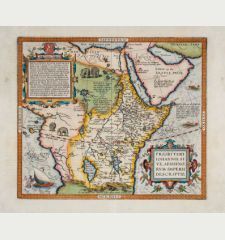 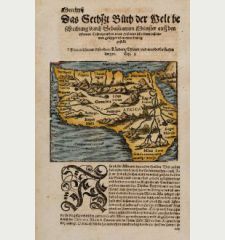 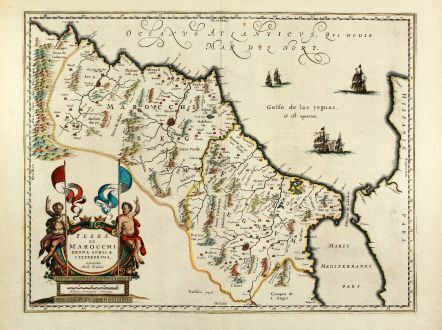 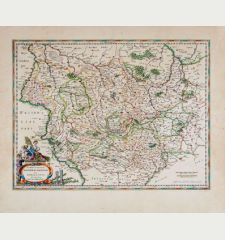 Old coloured engraved map of Morocco by W. Blaeu. 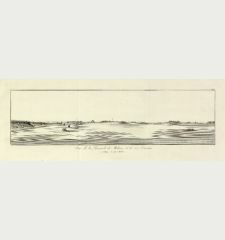 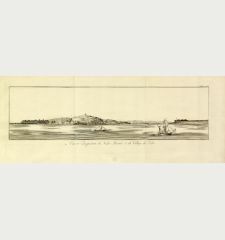 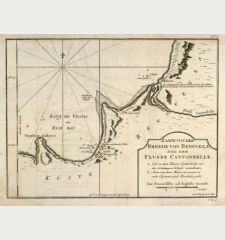 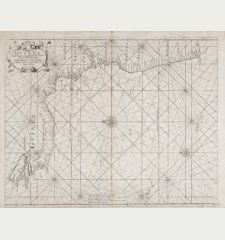 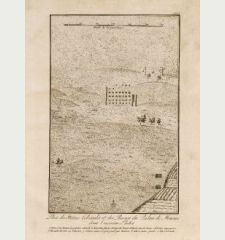 With the Strait of Gibraltar, several sailing ships and a large figural cartouche. 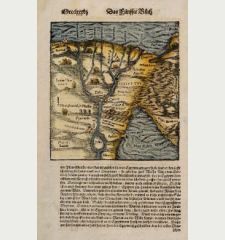 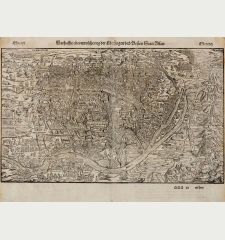 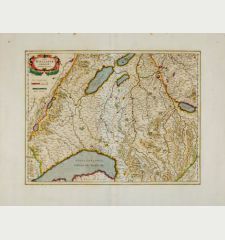 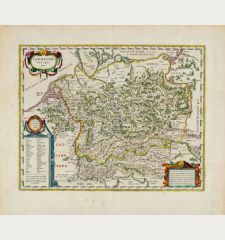 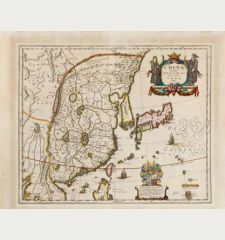 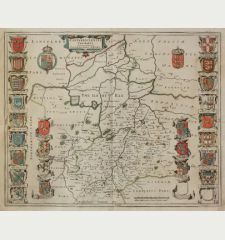 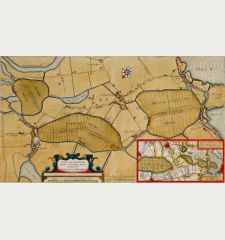 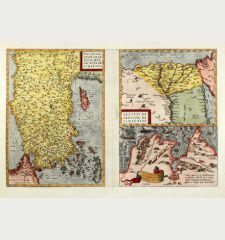 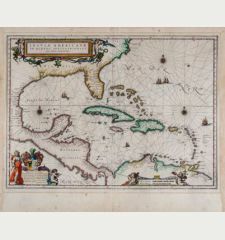 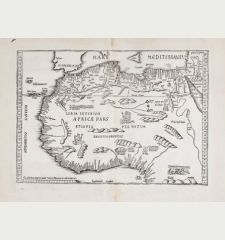 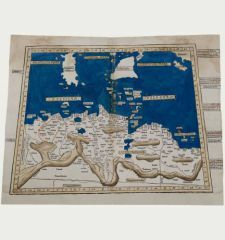 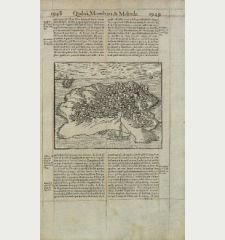 The map is based on Ortelius map of 1570. 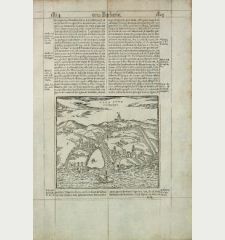 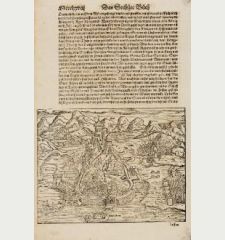 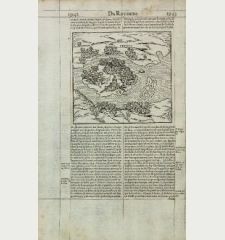 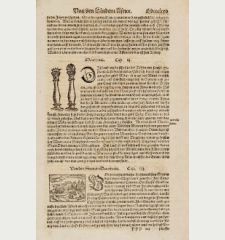 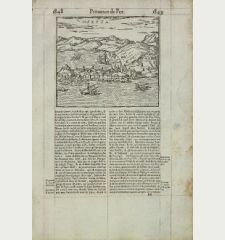 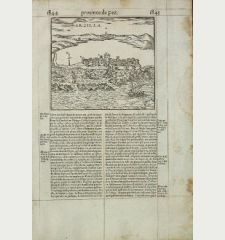 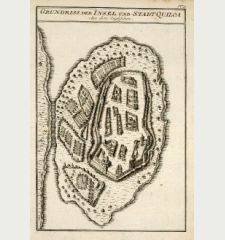 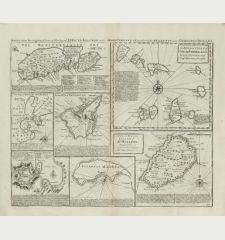 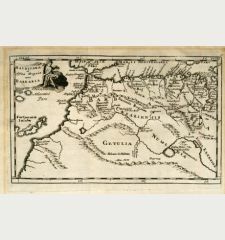 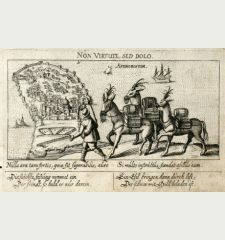 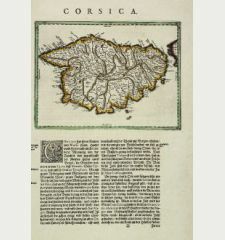 From 'Atlas Major' around 1640, with Latin text on verso. 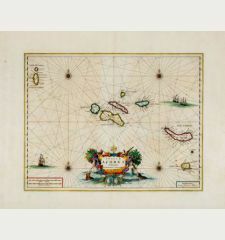 Very good condition in attractive colours. 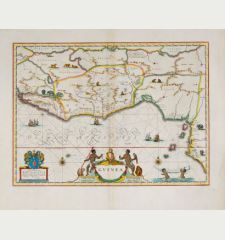 Willem Janszoon Blaeu: Fezzae et Marocchi regna Africae celeberrima.